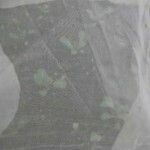 Enviromesh netting has had a huge impact on vegetable gardening, and would be a welcome gift to a vegetable gardener. gets rid of caterpillar infested, dirty, distorted crops which children dare not eat, for fear of finding a creepy crawly in their dinner. Enviromesh can be watered through. Enviromesh netting is a form of biological pest control. 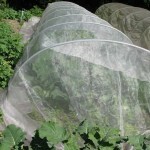 There is no need to spray crops with chemicals as the netting keeps the pest out.